Love these built ins... - Can you please tell me what the dimensions of this room are? I love how realistic the fire logs and fire appear. I presume it's a natural gas insert - wonderfully sized and a great focal point. What is the brand of the gas fireplace insert? Great job! Thank you, This is a Town and Country insert. I believe product details have been provided under some other questions and photos. Hi there...can you please tell me how wide the built ins are? thanks! Could you please tell me who makes the French doors? Are the pane dividers within the glass? I think I read Sierra Pacific made the doors and windows. What is the black material surrounding the fireplace? Is it granite? The granite was purchased from Meta Marble and Granite. We custom designed the mantle and surround detail. What is the size and brand of the fireplace insert? I need this curtain rod and the brackets - where can I find it? coffee table where to find! Coffee table - Where can it be purchased? Beautiful! Ikea has the cheapo version of the coffee table. I loved it. Then realized it shows every piece of dust! What is the color of paint on the wall? Is the mantle paint color BMMorning Dew as well? Can I do a stone, slate, or tile floor on a deck subfloor? - Looking to insulate deck floor, by enclosing the stringers with marine plywood, the insulation, and another marine plywood as the subfloor. Will that be sufficient to so some sort of mortared flooring? I did see this a few years ago. It did make sense because wood would no matter if it is marine grade will rot. Much like PT lumber will if you don't let it dry out completely after it gets wet. If it was enclosed I would not have a problem with your idea. You would not need Marine grade because you would use Ditra which is easier that cement board. It is faster and it is waterproof. Another thing plywood then insulation then plywood if it is fiberglass it must be vented. I hope this helps I am not sure if they still sell this any more but it seemed like a very good idea. Could you tell me where the couch and coffee table are from? The floors are a White Oak plank with a Swedish finish. Is the painting by Carole Arnston? i have a question so, do u have the web site or any contact address from Michael Schultheis? What is the ceiling height of this room? Love this! It is beautiful! Beautiful room! Thanks for info on ceiling height! We used Sierra Pacific Windows to manufacturer this french door design. Height of cabinets? - Hi, just wondering the height of the cabinets surrounding the fireplace. Thank you so much for your kind words! We did these cabinets at 36" with a 10' ceiling height. Dimensions? - What are the dimensions of this family room? I couldn't find the room dimensions on any of other photos. Could you help? Where is the sofa from and how much was it? This was custom made by the interior designer Susan Marinello. Maybe this will help http://edezeen.com/categories/home-furniture/armchairs-sofas-poufs/dream.html. Good luck! Love this fireplace, can you tell me how wide the opening is? Can you tell me the tile you used for the face of the fireplace? We didn't use tile, this is honed absolute black granite. Fire place insert? - If it is, what is the brand? I'm not connected to this project, but I just bought the Mendota FV46 with the "natural aged herringbone" interior lining and it looks just like this. PLEASE tell me if the item you speak of is direct vent or ventless, I am looking for direct vent. Where is the floor lamp from? The floor lamp featured in this room was designed by Suzanne Kasler for Visual Comfort & Co. and is available in 3 finishes. 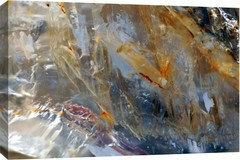 It can be purchased at Patdo Light Studio in Port Chester, NY and shipped anywhere in the country. what are the 3 finishes? and how tall is the lamp? Beautiful great room! I love this house, and we are using many of the features in our design in NC. We are designing our great room very much like this one, and we have 9' ceilings. We are adding a wood-burning fireplace so our builder has told us that the mantle will need to be "taller" than most. Is the fireplace in this photo wood burning or gas? I'm just trying to get a feel for scale. Thank you so much for your time. I keep seeing different living rooms and thinking wow, I love this room. They're all Paul Moon Design! Beautiful! Abby, thank you for the kind words! What are the dimensions of the fireplace and the surround i.e. the length and height of the mantel, the width of the columns on each side of the fireplace? We love this design and plan to create a similar look in our family room, but we would also like to have a raised fireplace. Do you have any suggestions on keeping this look, but having a raised fireplace, with or without a hearth? Thanks the surround and mantel measurements, it looks like the fireplace opening is about 36"-42", the width of the craftsman details are 7 and a half feet wide, the trim pieces are four inches wide and the heighth of the mantel from the floor is 60". i want to get the proportions right, since we might need to shrink our fireplace plan down to six feet wide. Cost estimate - Looking to install base cabinet only. 30-34 inches high and 57 inches long. Custom made unpainted. Need 2 cabinets. One on each side of fireplace. We suggest talking to your contractor or carpenter in order to get the most accurate price quote for your project. Love the room! Brand & model of fireplace please? Thank you, we used a Town and Country fireplace. The model number is listed in a couple comments on this image. Where can I find the mantel and column around the fireplace? - I love love this room and design. Can you tell me where I can find the mantel and columns? Thank you! The mantel, columns and all other built-in shelving/cabinetry was custom designed by Paul, specifically for this project. Paul, can we source the measurements for the fireplace surround. In the middle of a custom build in Indianapolis and love the surround size/style. Where are the little lights above the mantel from? 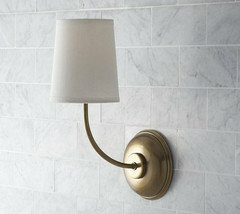 We used the Vendome single sconce by Visual Comfort. I think that painting can use this picture on top of it! Drapery - Are the drapes functional? Do they close and meet in the center? We have the same layout of French doors and I can't figure out how to have functional drapes that close to the center with multiple support brackets on the rod. Yes, these are functional drapes. I do not have specific details on the type of rod installed, it was furnished by Susan Marinello Interiors. We had the same issue and were able to purchase two extra long curtain rods from pottery barn, then install one support bracket at the center of the doors. Worked like a charm. Also PB sells a double wide curtain too! where did you find the rug? - rug? Rug was selected by the interior designer, i do not have the specifics on that item. This rug is just like the one I just purchased from restoration hardware. Fireplace material - What is the black material around the box of the fireplace? I'd like to know too! Thanks. Interested in the hardware on the doors. Can someone please direct me? 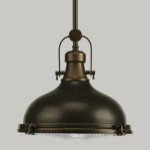 Hardware is sourced from Rejuvenation in an Oil Rubbed Bronze finish. Do you know the specific handle for the door? I also want to know about the knobs on the cabinets. curtains and curtain rod - Maker of curtains and curtain rod? What is the width of the curtain rod? The curtains were sourced by Susan Marinello Interiors. Unfortunately I do not have those details. I've got 2 gas fireplaces w/chimney/flue and want to replace it w/electric log insert. Is that possible? 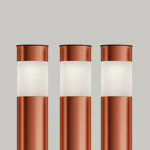 These are Plain Bin Pulls in oil rubbed bronze from Rejuvenation. Picture - Can you tell me where I can find the painting over the fireplace? Trim paint color - I love it. Can you tell me what it is? I like the lighting above the fireplace mantel. Can you tell me what company manufactures them? Thanks! The sconces used above the fireplace mantle were designed by Thomas O'Brien for Visual Comfort & Co. (also known as Circa Lighting) and they are available in several finishes. The floor lamp is Visual Comfort as well; both can be purchased at Patdo Light Studio in Port Chester, NY and shipped anywhere in the country. Hope that helps!! Thank you for your response to my question Patdo Light Studio! I was able to find similar in style small table lamps in a dark finish and they look great on my fireplace mantel as in the picture above. I have been thinking of something for each side of my fireplace mantel and this picture gave me a great idea. With my mantel clock in the middle and a mirror above my mantel it now looks complete with some added soft lighting. It looks great, thanks! Could you tell me the room dimensions? Thanks! About 18x20 , although could slightly be Bigger . Thank you...it is a beautiful room! what color white is this room? Benjamin Moore's Bavarian Cream is a similar color. What color is the cabinetry? Thanks! You can find the answer in some of the other images from this project. Hi. We love this fireplace! Could you tell us what the black stone is on the surround? is it one piece or many? Thanks so much! Absolute black granite, honed. Three pieces. Two legs and the top piece. Thank you so much for your reply! Such a beautiful fireplace. I hope ours turns out as nice! Thanks again. Where are the sconces from and the Floor lamp? Thanks! Where did they get that picture? I am not sure. I think it was staged by the photographer. love love this house - What are the ceiling heights in kitchen and the great room? Thank you! Thank you for your inquiry, ceiling height is 10' in both living room and kitchen. Ceiling Beams - What are the dimensions of the ceiling beams? Were these built out or are they premade such as Fypon? Thank you for your inquiry, they measure 7"x7" without the crown, built on site. Fireplace - Can you tell me the make /model of the fireplace? This is a Town and Country Fireplace. They have an awesome website with additional product info. Cabinet top - What is the cabinet counter top made of? Hi Linda, the entire built-in cabinet unit is constructed from wood, including the counter top. We did not place a TV in this room. This space is used as the formal living room. We do have a TV placed in the living space adjacent to the kitchen as well as in the media room. We have photos of those spaces uploaded for this property as well if you'd like to take a look! Dimensions - Can you share the length and height of the wall that he fireplace sits on? That wall is about 20' long. Ceiling height in this room is 10'. We do not have the specifics. 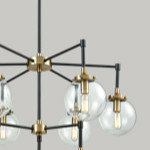 Lighting was selected by the interior designer Susan Marinello Interiors. However, some suggestions have been listed in questions below. Thank you for following our work! The rug was selected by Susan Marinello Interiors, I do not have the specifications for this item. Who is the door manufacturer? Beautiful room! Thanks! Thank you, Sierra Pacific Windows. I believe they're listed in some of the other questions. Fireplace mantle and pillars. 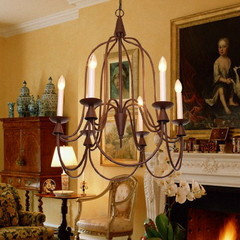 - Please provide the fireplace woodwork dimensions. Am replicating this design and would like the pillar width/height, the mantle dimensions and the wood work piece below the mantle (between the pillars). Cabinet - Does it have a spray painted finish or is it hand painted? 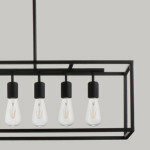 Surround is honed absolute black with a Town and Country insert. It was custom designed by Susan Marinello Interiors. Are the cabinets custom? If not, who is the manufacture? Yes, this is custom built-in cabinetry. Pillows - Do you know where the pillows are from? My apologies, I do not have that information. Would you mind sharing the ceiling height and size of the beams? What - a beautiful room! Thanks so much! The ceiling is approx 10' high. The beams are 7"x7" and span the width/length of the room. room size - How big is this room? Is the wall with fireplace the longer dimension? What carpet color would you recommend with BM Morning Dew paint? - Paul- This home is amazing. We stole many ideas from this home for our remodel and even painted all main walls Morning Dew. Now I am not sure what shade/color carpeting to install to compliment the paint. We have small kids so want something soft and not too expensive like a true sisal because it may only last 5 years and get replaced again. I was thinking something in the grays would be too match but not sure what to do and frozen here on this decision. I usually see it picture with wood floors but can't find photos with it in carpeted hallways like our home. Thank you! In this home, we installed Pike's Peak Americana carpet by Masland Carpets and Rugs. It is slightly darker than BM Morning Dew- a color similar to this may work well. Best of luck! Transom Sizes - Favorite house on Houzz! Can you tell me the transom height? Are they 16"? Agree - great house. Could you provide the transom height if it is known. Thanks so much. How far the wall does the fire place and book case needs to be. My living room is not very big? - How far from the wall does the fire place and book case needs to be? Nothing wrong with where it is and how it is placed. Im thinking of doing an absolute black honed fireplace as well. However, I have espresso oak floors and worried how it will look against it. Fireplace - What is the herringbone pattern inside the fireplace made out of and how would one achieve this look? Thanks. Love this fireplace!! What are the dimensions of the firebox? is it a direct vent, vent free or wood burning? The gas fireplace - do you remember what size was purchased for this room? 36", 42", or 50"? Thanks so much. What is the size of the room and the depth of the gas burner? what color paint is on the wall? Thank you! Try Benjamin Moore's Alpine White. Firebox model # or dimensions - I just came across this one. Very Nice. This home was beautifully done. I am currently working on a fireplace project very similar to the one in this living room area. I have checked through all the posts ( I don;t like asking the Pro's repetitive questions) but cannot find an answer. Would it be possible for you to give me the exact dimensions of the firebox (WxH) or the model #? I would really appreciate it. Very nice Job on this home. What type of paint finish did you use? - Just wondering what kind of paint finish was used on the molding and walls? Matte finish? Semi? Etc. What are the spec's of the hardwood floor being used in this room? - Absolutely love the room, would you be able to tell me what color, width and the manufacturer of the flooring please. area rug - who makes area rug please? Urgently important: are the French doors 6'8 or 8' - We are purchasing French doors for our lake home and desperately want to know the height of the French doors. Paint Colour - What is the paint colour of the living room in this picture? Burke - Where is the fireplace from? Fireplace - Is the mental molding or wainscoting? Hello, how much would it cost to build a surround like this one? Dimensions of fireplace. - Can you please provide the width of the fireplace with the wood surround? Fireplace - Fireplace insert come from where? Pillows - How much did those Schumacher pillows cost after all said and done? What is the band of sofa, and where can you buy it? Flooring - Can you please tell me brand, size of panels, and coloring of floor?? Thanks! What is the brand of the fireplace? Window trim color - Is the window trim the same color, "cloud white?" If not, what color, please! Thank you for your time! Floor lamp - Where can I purchase this floor lamp? Floor lamp - Where can I purchase the floor lamp? Where did that beautiful couch come from? Fireplace mantel dimensions? - Fireplace mantel, surround dimensions? width, height, depth and can this work with an electric fireplace ? Do you recall the depth of the built-ins (countertops and shelves)? Drapes - Are the drapes custom or retail? Any info would be much appreciated. Can you tell me the H &W of your shelves? and H of your base cabinets - Thank you! gorgeous units. Another mantle question... - How long is the width of the fireplace wall compared to the width of the mantle leg to leg? I cannot tell from the way the photo is taken. Thank you! Beautiful Fireplace! - I am currently trying to replicate this look, although my dimensions are smaller...my mantle is 6' long, and my ceiling height is only 8' high. My builder is trying to scale the design down, but it would be greatly appreciated if you would share the dimensions of the mantle. Thank you so much! Beautiful space!! A question about the fireplace surround- - You said that the surround was absolute black granite honed- with a top piece and two leg pieces. Is there a reason to have it in three pieces as opposed to cut from the same slab. Is it for pricing? We would love a similar look for the fireplace that we are redoing. Thanks in advance for any guidance. Oranges in artwork complement fire.